A Caterpillar truck led the bidding as the equipment fleet of Hawk Plant UK raised nearly £29m at auction last week. The sale of all 2,000+ assets drew interest from around the world. Balfour Beatty has been fined £600,000 following the death of an employee on the Aberdeen bypass project. The 58-year-old was struck by a wheeled excavator that was slewing after being refuelled. Contractor R J McLeod will carry out a series of blasts next week as it prepares to improve a notorious hairpin bend on the A9. It wants to determine the geotechnical properties of the rock at Berriedale Braes. Sixty five years after it was first proposed, nine years after it was given the go-ahead and five years after the construction contract was awarded, the Aberdeen Bypass is finally and fully open to traffic. Dates have been confirmed for the auction of the fleet operated by Hawk Plant which went into administration last month. It will follow Euro Auctions’ biggest-ever sale where more than 5,000 lots were sold for £42m. Workloads for Scotland’s civil engineering contractors have slumped to their lowest level for nine years. A survey issued today by CECA Scotland confirms that activity has fallen for the fifth consecutive quarter. When Mark Anderson rose to address the 360-strong audience at the Scottish Plant Owners’ Association annual dinner last night (Friday) he was carrying on a family tradition. The organisers of an event in Stirling to help shape the future of operator card schemes said they were “disappointed” at the turnout. Delegates were mainly from contractors and training providers. The Plant Division of Story Contracting is to make a major investment in equipment and staff to support a series of new contract wins. The company has also appointed a managing director for its Scotland division. One of the UK’s biggest independent plant hirers has blamed the collapse of Carillion for forcing it into administration. Hawk has a fleet of around 2,000 machines and has supplied equipment for more than 40 years. Farrans Construction has been awarded the construction contract for the £49.5m project to improve a north-east junction once described as the worst of its kind in Europe. And R J McLeod wins the Berriedale Braes job. The organisers of an event in Stirling to discuss the future of plant operator card schemes have issued a ‘last chance’ alert for those who want to attend. Only a few spaces are left warns the CPA. More than 900 excavators and 400 dumpers have been bought by GAP Group as spending in the first eight months of its trading year reaches £58m. And that doesn’t include investment in the commercial vehicle fleet. The contractor for a £23m Lanarkshire road is urging plant hirers and groundworks companies to sign up for a ‘supplier engagement’ day. Wills Bros has the contract for the Greenhills Road scheme. A 17-year-old operator has been given a £100,000 excavator to develop his skills. Blair Hughes works for Glasgow-based Clearwater Group and has been given responsibility for a new JCB 220X, one of the first in Scotland. Bids are expected from around the world when auctioneer Ritchie Bros. holds its first-ever auction in Scotland next week. More than 250 items of equipment and trucks will be available. The UK’s largest recycling plant for construction and demolition waste has opened in Livingston in what is described as “a game changer” for the industry. It can recycle 400,000 tonnes a year. A seven-mile section of the Aberdeen Bypass project will be fully open to traffic tomorrow (Wednesday). And a 1.1m contract has been awarded for ground investigations on a five-mile stretch of the A9 dualling. New workload statistics make “grim reading” for Scotland’s civil engineering contractors. Workloads reduced for a third consecutive quarter, tipping the sector into recession says the industry's trade body. Perth contractor I&H Brown has started a major earthworks contract involving millions of cub. metres to pave the way for 3,000 houses on the former Blindwells opencast coal site. The last Terex-branded rigid truck will come off the Motherwell production line next month as Volvo CE continues to stamp its identity on the famous vehicles. It marks the end of a 68-year history. Scotland’s civil engineering contractors are backing a campaign to prevent road workers being put at risk by angry drivers. Employees are under threat from dangerous driving and physical or verbal abuse. Nearly 300 employees have been made redundant following the collapse of Midlothian civil engineering business Crummock. Industry rumours that the company was in trouble were confirmed this afternoon. Several thousand items of plant and equipment used on the construction of the Forth Crossing are up for auction. Telehandlers, generators, work platforms and small plant are among more than 1,000 lots. QTS Group, the Lanarkshire rail contractor, has been acquired in an £80m deal. The company is headed by Alan McLeish who started the company in 1992 with a £300 loan from his mother. There could be more casualties among smaller supply chain companies as Scotland’s construction industry continues to wrestle with “an unprecedented sequence of problems” warns a business recovery expert. 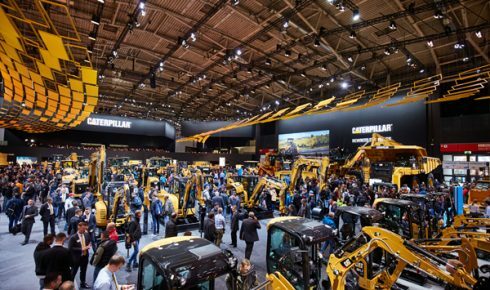 A trip to Malaga is on the cards for the country’s top plant operators as Caterpillar brings back its Operator Challenge after a four-year break. Scottish heats will be held April 27-28. Sales of construction equipment in Western Europe surged by 13% in 2017 to return to levels not seen since before the global financial crisis. However, the market is expected to level off this year. 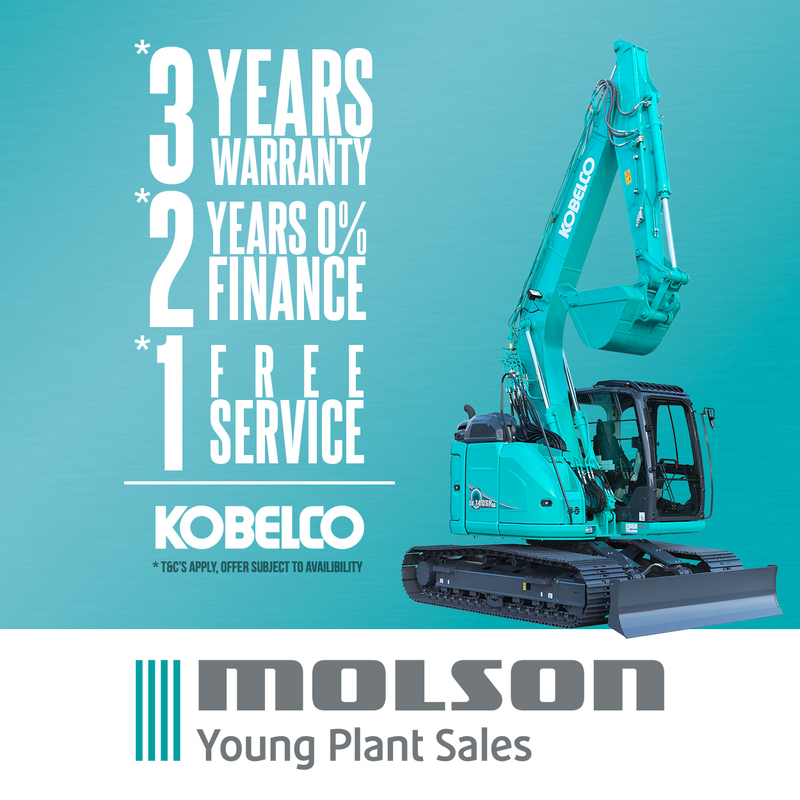 TDL Equipment has been confirmed as central and southern Scotland dealer for Mecalac equipment and is celebrating with a 0% finance deal running until May 31. Procurement has started in Scotland for Network Rail’s multi-billion pound investment programme. Thousands of companies UK-wide will benefit as advanced tender procurement gets underway for 2019-2024.. The construction industry is one of the main targets in a crackdown on cartels by the Competition and Markets Authority. And whistle blowers could be in line for a £100,000 reward. Galliford Try is to raise £150m to help meet its additional financial obligations on the Aberdeen bypass in the wake of the Carillion collapse. Balfour Beatty has already estimated its cost at £35-£45m. Kubota’s UK boss is switching one Japanese manufacturer for another to take the reins at Hitachi. David Roberts will become chief executive officer of Hitachi Construction Machinery (UK) on April 1. Companies ranging from plant hirers to earthworks contractors will gather in a Clydeside church next week to stake their claims for a share of the £500m expansion of the Faslane Naval Base. Two companies have joined forces to compete against some of the biggest names in Scotland’s engineering industry. “The potential for this merged business is exciting,” says Jim Stevenson of Walkerweld. Murray Plant, the Renfrewshire attachments specialist, is under new ownership. The former World Dealer of the Year for Rammer breakers has been acquired by Blue Group. EXCLUSIVE Doosan dealer Scotia Plant will close its doors next week after its Northern Ireland owner pulled the plug. SANY dealer TDL Equipment is moving into the premises in the New Year. Scottish fleet owners could be faced with an exodus of operators heading south as putting bums on seats becomes a major challenge for the plant industry in the next five years. West of Scotland Heavy Haulage, one of the country’s best-known specialist transport companies, has entered administration and ceased trading with immediate effect in the wake of growing competition and rising costs. The Beauly-Denny overhead transmission line project has won the prize for the Greatest Contribution to Scotland at the Saltire Civil Engineering Awards. The M8 M73 M74 motorway improvements was also a winner. Construction firms bidding for work in North Lanarkshire will need to sign an agreement protecting employees’ rights. The Unite trade union said it expects other local authorities to sign up to similar agreements. Daviot Group, the Highland company that last year described itself as one of the fastest-growing civil engineering businesses in the UK, has collapsed with the loss of all 31 jobs. But its sister plant company survives. Scotland’s plant sector has backed the Construction Industry Training Board’s proposed levy rate. However, the Scottish Building Federation was one of four trade bodies to vote against. Dundee company Safedem will again be Scotland’s only contender at the World Demolition Awards. It’s the second time in three years the contractor has been the sole representative from Scotland. Contractors are hoping for good weather this weekend to start work on a bridge demolition as part of the Aberdeen bypass scheme. Traffic is due to switch lanes today (Wednesday) in preparation for the work. Three joint ventures remain in the race to build the next section of the A9 dual carriageway. Economy secretary Keith Brown announced the contenders while on a visit to the almost-completed first stretch. A contractor is expected to be announced in the first half of next year for the £7m demolition of the oldest nuclear reactor at Dounreay. The winner will tackle 600 tonnes of steelwork standing on 25-metre diameter foundations. The directors of an award-winning Scottish demolition contractor that went into liquidation in 2015 made a “cynical attempt” to take money that was due to creditors. Fifteen local companies have won contracts from Dragados for services including supply of quarry materials, traffic management and safety training as part of the £350m expansion of Aberdeen Harbour. The Spanish company taking over load and haul operations at a Scottish superquarry has been accused of 'sticking two fingers up' at employment regulations. UPDATE Oban Earth Works responds. Two directors of a Highlands construction and civil engineering business have been disqualified from running or controlling any further companies. 'They have paid the price,' says the Insolvency Service. Transport Scotland has confirmed that the upgrade of an infamous stretch of the A82 will be to full 7.3-metre wide carriageway. But the cost could rocket to £380m. EXCLUSIVE Long-standing Liebherr customer Bernard Hunter has used two machines from its fleet to dismantle the trio of Liebherr tower cranes that dominated the skyline during construction of the Queensferry Crossing. Civil engineering business Land Engineering (Scotland) has been placed in administration with 135 employees made redundant with immediate effect. Another 249 employees have transferred to French-owned Idverde Ltd.
One of Scotland’s best-known plant hirers is stepping back from the industry. Tom Blackwood of Blackwood Plant Hire has sold the business to a team led by sales director Paul McCormack and plant manager Allan Wilson. Scotland’s construction industry generated total output of £14.5 billion last year, slightly down on the record £14.7 billion in 2015. The reduction was due mainly to a slump in infrastructure work which fell to £3.1 billion. Transport Scotland has started a search for SME contractors to carry out advance works in preparation for future construction on the A9. The £100m Luncarty to Birnam section is expected to start by the end of this year. JCB has moved into the $8 billion powered access industry for the first time with chairman Lord Bamford declaring: “It’s a market that is ripe for a new supplier.” There will be 27 models available by the end of the year. The organisation that monitors the image of the construction industry is to crack down on illegal workers and poor road safety practices. It says they are “pressing issues” requiring a more concerted effort. A plant hire manager has been jailed for two years over the collapse of a work platform in which one worker died and another was seriously injured. The platform plunged 28 metres in Glasgow in June 2012. Contractors have failed to complete earthworks on schedule at the Aberdeen bypass. The consortium confirmed it had not finished a key element before the winter deadline, with “a consequential impact”. Terex is selling its UK-based compact equipment business to a subsidiary of French manufacturer Mecalac as it continues to offload its interests in small plant. It follows the sale of its German operation earlier this year. Road contractors, plant hirers and council highways departments are on high alert as the country experiences its first winter snowfalls. Local authorities have been revealing their plans to keep Scotland moving. Scotland’s onshore wind farm industry, which has poured hundreds of millions of pounds into the civil engineering and plant sectors, could grind to a halt unless the UK government makes a commitment to its future. Midlothian waste and construction services business NWH Group is going shopping with £7m worth of bank backing and said it is looking at a number of companies that could complement its existing activities. Police have warned Scotland’s plant hirers to carry out “thorough due diligence” on customers to help tackle a new surge in equipment theft. Most of the plant has not been recovered. Gordon Dunne, the former managing director of the Dunne Group, is back behind his desk…just weeks after his business failed. He's leading a new division specialising in reinforced concrete frame construction. Contractors say a report that roads are continuing to crumble has come as no surprise. The Civil Engineering Contractors Association (Scotland) told Scottish Plant it has lobbied consistently for an increase in funding. UCATT said clients should have carried out checks on the stability of the Bathgate business that went into administration today (Tuesday). UPDATE: Bank blamed for collapse. Civil engineering contractors and plant hirers will benefit from a £42m-a-year windfall for flood protection schemes. The cash will fund 40 new protection projects and around 10,000 families will benefit. Europe’s construction equipment will become the least-polluting in the world following this week’s adoption by the European Parliament of the new Stage V emissions regulation. Terex Trucks has announced a further 65 redundancies at its Newhouse plant. Management at the Volvo-owned business blamed market conditions and a downturn in global demand for their articulated and rigid trucks. One of the Highlands’ top civil engineering companies has signed up for a campaign to help tackle plant and equipment theft. It has been set up following a huge rise in thefts from building sites in the north. Average speed cameras are being installed on a major trunk road this week to protect workers building the Aberdeen Bypass. Contractor Aberdeen Roads Ltd is fitting the cameras on the A90. It’s a new company but the face remains the same…for now. Peter Yarwood, one of Scotland’s longest-established breaker and attachments specialists, is paving the way for a gradual exit from the business. Jim Caldwell of Glasgow company JCJ Demolition and Construction Ltd has been given a Lifetime Achievement Award for his “outstanding and ongoing commitment” to improving training. Liebherr Group pulled in the biggest revenue in its history last year in spite of a static market in Western Europe, its most important sales region. And it’s hoping for a “positive impetus” from Bauma in April. Hargreaves Services believes its £11.85m acquisition of a contractor involved in the Aberdeen Bypass will create ‘new and exciting’ opportunities for one of Europe’s biggest heavy plant fleets. Bridie Young, a doyenne of Scotland’s plant industry, died suddenly but peacefully at her home in Dunblane last month. She and her husband Tom founded Young Plant Sales in 1978. The contract worth up to £55m to surface Scotland’s biggest road job has been won by Breedon Aggregates and Whitemountain. The 50/50 joint venture will supply and lay more than 500,000 tonnes of material. A Lanarkshire platform business has been acquired as part of a rental company’s expansion into Scotland. 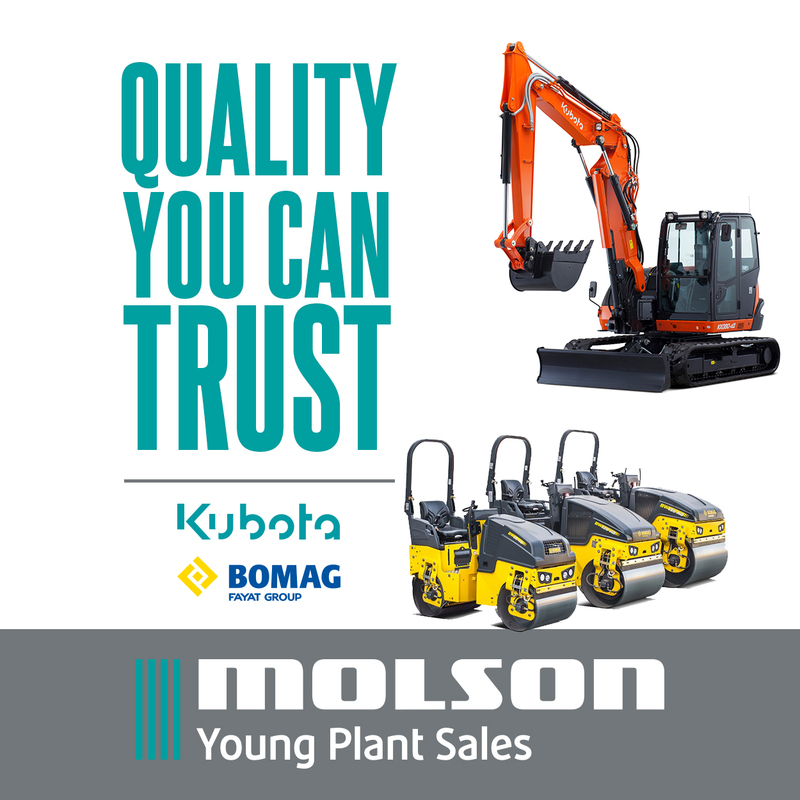 The new owner will broaden the range of equipment available to customers north of the border. Two heavyweights of the rental sector faced up to each other at a recent plant theft conference and exhibition. The event was attended by more than 200 construction industry representatives and150 police officers. Factory tests have been completed in Germany on the giant tunnel-boring machine (TBM) that will carve out the biggest waste water tunnel ever built in Scotland. A-Plant is continuing to widen its presence in Scotland following last year’s acquisition of two firms on this side of the border. The latest move is another shared location, this time in Inverness. Projects from across Scotland’s infrastructure spectrum have been recognised in this year’s Saltire Awards for Civil Engineering. See the projects and some of the plant that helped build them. Suppliers of plant to the rail network in Scotland are poised for years of work as BAM lands a £170m upgrade and the EGIP scheme continues to make progress. McLaughlin & Harvey, the Belfast contractor that cleared a Scottish trunk road bottleneck after 30 years, has won an award from the Northern Ireland construction industry. Banks Mining has been praised by an MSP for prioritising local firms in the supply chain for its operations at the Rusha surface mine in West Lothian. It’s spending £4m a year with central belt companies. EXCLUSIVE Rockbreakers UK, the West Lothian hydraulic hammer and attachment specialist, has moved into the machine business with its appointment as a dealer for Volvo’s utility equipment. One of the country’s most prominent road engineers has stepped in as interim Scottish Road Works Commissioner while a wide-ranging review is carried out into the functions of the office. Stringent health and safety procedures were in place for the workers involved in the improvements programme at Winchburgh Tunnel which has now reopened on schedule after a 44-day closure. Plans for a 19-turbine wind farm in South Lanarkshire have been given the green light but contractors and suppliers hoping to win work from a Caithness development will be disappointed. A “complex” programme of rock drilling and blasting will begin on the Aberdeen Western Peripheral Route route next week to help lower the ground to the new road level. Applications to tender will close next week for Scottish Water contracts worth up to £150m. The company is expected to appoint four Tier 1 framework partners for work until 2021. The spotlight has been shining on the young people who will help shape the plant industry of the future and honours continue to roll in for a Highlands apprentice. The road engineer who led many of Scotland’s landmark schemes has been recognised for a Lifetime Contribution to Transport and BAM Nuttall has won a top award for “outstanding” work on the rail network. EXCLUSIVE Scot-JCB has withdrawn from a deal to distribute Hydrema dumptrucks in Scotland. It announced the news just days after a tie-up to sell the Denmark-built vehicles had been revealed. The joint venture building a £500m motorway project has told residents of three towns how they’ll be affected in the coming months. Improvements at Raith Junction will require “complex” traffic management. Could this be the most expensive stretch of road in the country? Originally awarded at a cost of £9.2m, the contract for a 400-metre section on the banks of Loch Lomond has been completed...a year behind schedule. An award-winning Glasgow firm has become the second Scottish demolition contractor to bite the dust this year. A liquidator has been appointed at Hunter Demolition following a lengthy battle with HMRC. The man who choreographed the opening ceremony for London’s 2012 Paralympic Games is coming to Scotland to go dancing with two Glasgow plant companies at a city festival. EXCLUSIVE: GAP Group this week confirmed it will spend a record £82.5m on new equipment in the next year to satisfy “unprecedented” demand. The investment is up nearly 20% on the 2014/2015 figure. The buildings that will become the operational nerve centre for the Aberdeen Western Peripheral Route project have started arriving on site. They're being supplied by a local firm to house 200 office staff. An engineering boss has been sentenced after an employee was crushed to death in an excavator accident in Orkney. The welder died after being caught between the bucket and a water cabinet. Austin Carey, managing director of Blue Machinery Scotland, has returned from Fort Lauderdale, Florida with the trophy for Powerscreen World Dealer of the Year. 'A huge achievement,' he says. A Borders plant hirer and builder is supporting plans by a renewable energy company to build a 15-turbine wind farm near Hawick. Contracts worth “several millions” will be available. Two generations of a Scots demolition family were honoured at an industry awards ceremony last week while an employee of a Bonnybridge firm won the Operative of the Year title. Eight of the UK’s top hirers have met in Glasgow to explore new ways of tackling the industry’s £800m theft problem. The exchange of information is vital if we’re going to reduce theft said a spokesman. Lagan Construction Group expects to begin work in the spring on a “crucial” project for a 1,000-space park-and-ride facility and dual carriageway link road on the A96 in Dyce. A family-owned quarry business has been fined £200,000 after the elderly driver of a dump truck died when his vehicle reversed over a stop block and plunged to the quarry floor below. Scotland’s JCB dealer has said it will sell the company’s new dumpers in due course. JCB entered the market with Terex-built machines but Scot-JCB is already a player through a sister company that handles the Thwaites range. The changing fortunes of Scotland’s construction industry are reflected in the latest listings by a business magazine that reveals improved performances from quarry firms and plant companies but a mixed bag for civil engineers. Transport Scotland and its contractors continue to face problems on two trunk road projects just 15 miles apart. One is 35 weeks behind schedule and the other is still having landslide problems after £9m worth of investment. The construction army that will build Aberdeen’s Western Peripheral Route is on the move. Activity will be seen across the north east as earthworks begin and preparations are made for the first sections of tarmac. Scotland’s new transport minister has reported that work is “well advanced” on a road contract on Loch Lomondside…that was programmed for completion last spring. Scotland’s highest residential tower blocks are to be demolished floor by floor in an operation that will see workers operate from a platform on top of the structures. The Aberdeen branch of the CMPE attracted a record turnout for its 50th anniversary dinner dance and the Scotland West Lighthouse Club brought its year to a close with its dinner in Glasgow. Plant operator Raymond Harper stayed put when his excavator brought down an overhead power line carrying 11,000 volts. If he’d left the cab he could have died a Scottish court has heard. Two of Scotland’s biggest plant hirers have invested a total of £8.5m in their JCB fleets. Lomond has spent £6m on a package including new generation midis while Blackwood has taken on 35 machines at a cost of £2.5m. A plant hire contract worth £20m will be awarded in the next few weeks for the Aberdeen Western Peripheral Route as procurement enters a crucial phase. Earthworks and aggregates jobs are also up for grabs. Scotland's new-look railway system is taking shape with a £250m package of works on the EGIP project and an important milestone reached on the Borders Railway scheme. Scotland’s demolition fraternity failed to repeat last year’s success at tonight’s World Demolition Awards in Amsterdam. Central Demolition of Bonnybridge and Glasgow’s Hunter Demolition were both edged out. Nearly half of all infrastructure projects currently in the British planning pipeline are for renewable energy. A total of £81 billion is expected to to be invested in 405 schemes currently being planned. Scottish dealer Young Plant has pitched in with a 130% sales increase as Hyundai claims the title of fastest growing construction equipment supplier in the UK. Four contractors will fight it out for the first phase of the £3 billion programme to dual the A9. Contract award is expected next summer and the successful bidder will widen the stretch to full dual carriageway. Transport Scotland's head of construction Michelle Rennie is one of the high-profile speakers lined up for next month's Road Expo conference and exhibition in Edinburgh. The Considerate Constructors Scheme has launched a campaign to tackle “inappropriate and offensive language” on Britain’s construction sites. Some say it's banter, others disagree. Morris Leslie Plant Hire, which has invested £35m on 850 machines this year, has confirmed the spending spree is to continue with plans for a further £45m boost for suppliers in 2015. Work started at the weekend on an “intensive” nine-day period” of major bridge works in North Lanarkshire that will allow construction of a new section of dual carriageway to be constructed. Jones Bros., the Welsh civil engineering group, has appointed one of its most experienced managers to lead operations in Scotland just weeks after it declared it was “extremely optimistic” about its future here.